"I am chasing a spirit. I want to discover who Alec is." are words that Alfre Woodard said during this week's episode of Who Do You Think You Are? From that episode, these words resonated with the most. The words caught me by surprise and then I quickly found myself saying, yes...those first moments of encounter when you are researching an ancestor and you find something...just an inkling perhaps but nonetheless something. That something that casts you into somewhat murky waters hoping to catch another glimpse of a phantom hoping to change him or her into a person...a relative. Yes, those were my ramblings from last night. From those thoughts, it feels like the right way to segway into what I found earlier in the day on Warren Devaughn. Violet's husband was a man named Warren Devaughn. I knew his name and nothing else. I thought that would be all there would be to know about him but his spirit I believe may have revealed a small clue. Before I go any further into what I found, I must say this to anyone who is doing research and reads this. Keep trying different variations in name when looking for your people. Don't just go for the obvious. Even if it seems like a long shot and the spelling looks somewhat crazy, give that name a try when attempting a search. That oddball variation may be your key to finding out more about the person your searching for. Anyway, you can guess what I had been guilty of. I hadn't tried enough variations of the name Devaughn. I had tried Devaughn, Devoughn, Devane and Divine. I don't know why, but trying Devon, just hadn't dawned on me until yesterday. The Jones branch of my family that Warren Devaughn married into originated from Onslow County, NC but settled in the area that would become Morehead City around the time of the Civil War. 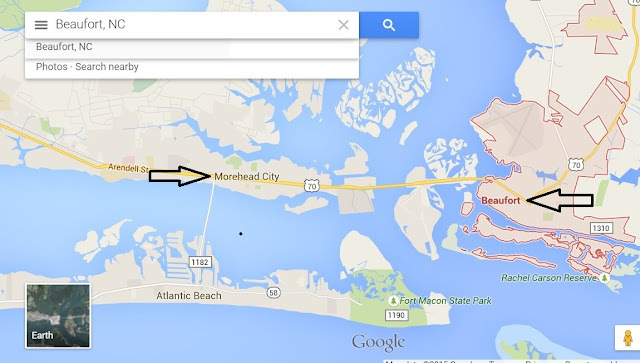 Morehead City is part of Carteret County. 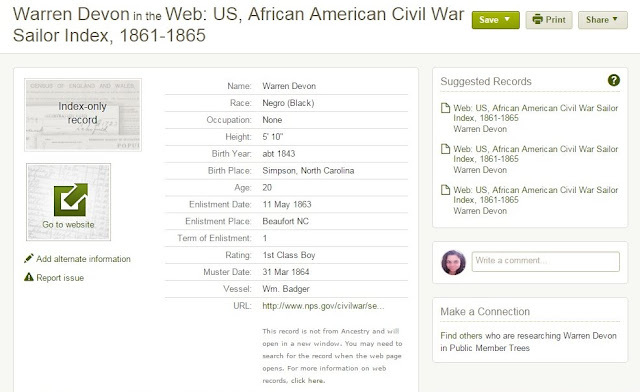 With that being said this is what I came up with when I did a search on Ancestry.com using the name, "Warren Devon." and Carteret County. Source Information Ancestry.com. Web: US, African American Civil War Sailor Index, 1861-1865 [database on-line]. Provo, UT, USA: Ancestry.com Operations, Inc., 2014.Original data: Soldiers and Sailors Database. 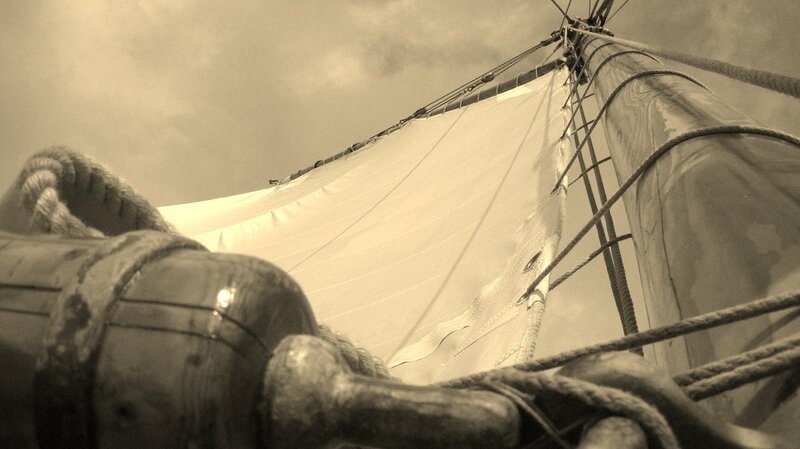 Sailors. National Park Service. http://www.nps.gov/civilwar/search-sailors.htm: accessed 13 July 2014. A hit came up on the US African American Civil War Sailor Index, 1861--1865. This information is derived from the National Park Service's Soldier's and Sailors Database. This Warren looks like a real good candidate for being my Warren Devaughn. Here's why. Husbands and wives more often than not are close in age. This Warren was born around 1843. Violet Jones Devaughn was born in 1845. There's a Beaufort County, NC but there's also a town called Beaufort in Carteret County, NC. The enlistment place shows Beaufort, NC so it wasn't immediately clear to me what location they were referring to here. So I did a little more digging. On the National Park Service website, they provided a bit more detail about the muster records for this Warren Devon. Late in July, William Badger -- laden with a "goodly supply of provisions, clothing, and stores" for the ships of the Union Navy maintaining the blockade off Confederate-held Wilmington, North Carolina -- was towed by the steamer USS State of Georgia to the North Atlantic Blockading Squadron base at Beaufort, North Carolina. She remained there as a supply hulk for the remainder of the Civil War and, on occasion, served as an accommodations vessel. It turns out the Beaufort they were referencing in the "Warren Devon" database entry was in fact the town of Beaufort.